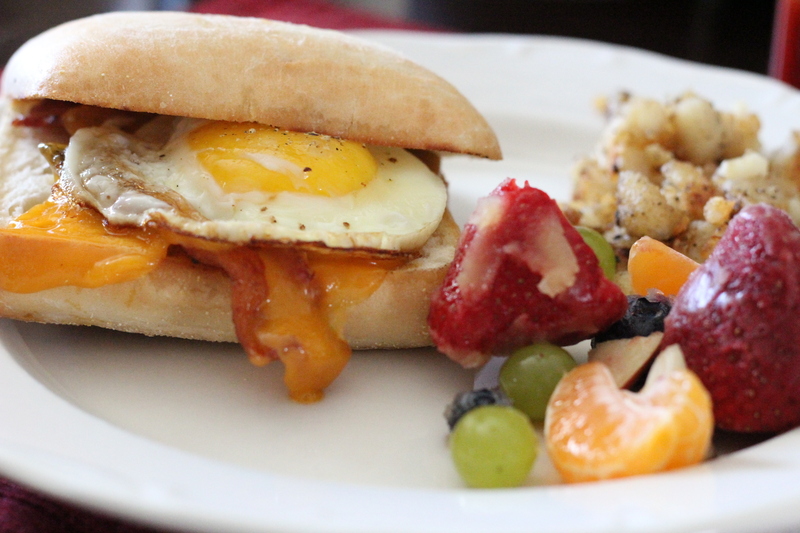 Ciabatta Breakfast Sandwiches to start the week off right! I tend to get on little kicks with certain foods and kinda go nuts with making them all the time. 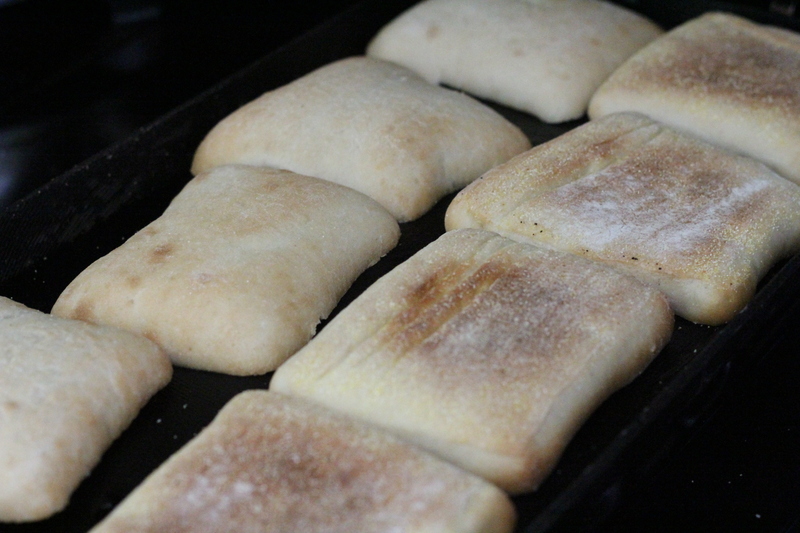 A few months ago, it was ciabatta rolls. I picked some up at Aldi one day and decided to use them for chicken salad. 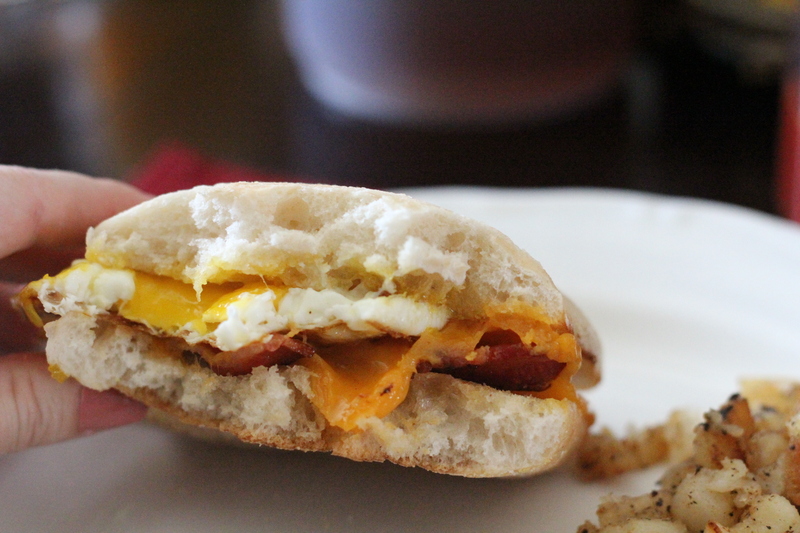 The next time, I used them for these awesome breakfast sandwiches. I used leftover ones mixed with sourdough bread for baked french toast. Can’t let those yummy rolls go to waste. Really, there’s no recipe needed for these, just use whatever ingredients you like. 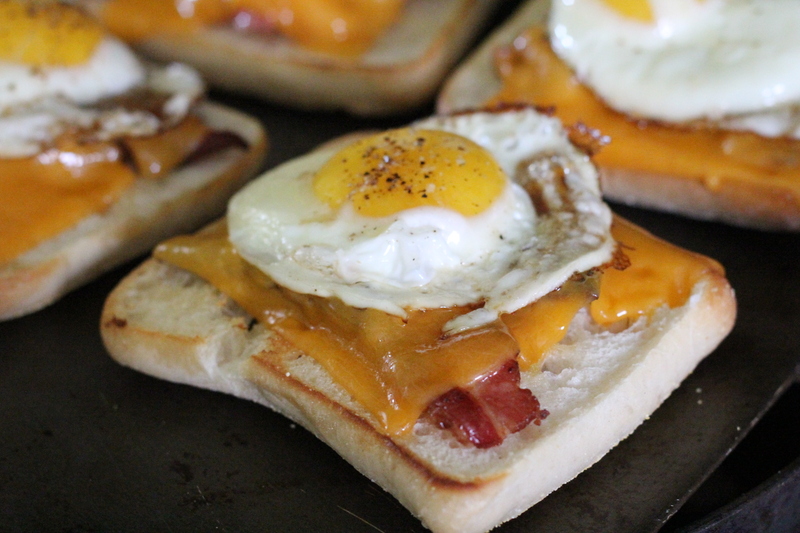 I made mine with bacon, eggs over easy, and sliced cheddar cheese. Can’t go wrong there. The best part is that these keep for a few days in the fridge. 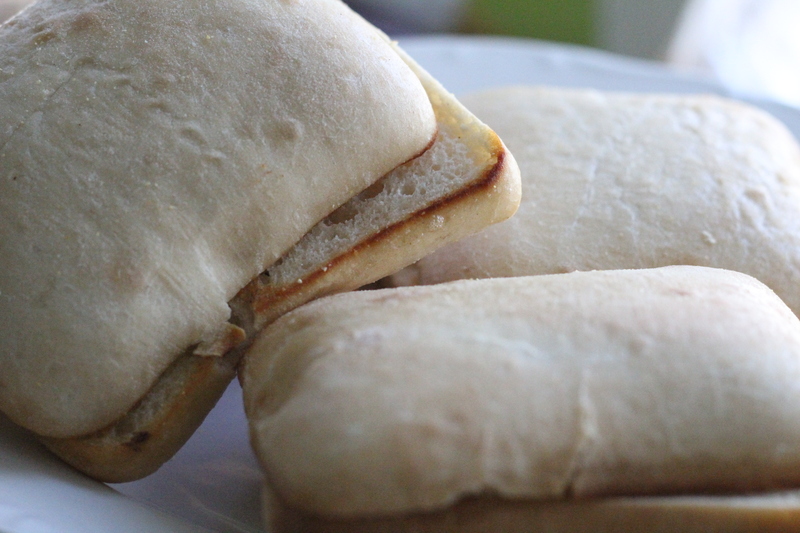 I made a few extras and just put them in a container in the fridge and one busy morning, I grabbed one, wrapped it in a paper towel and microwaved it for a few seconds. I ate it as we ran out the door. It hit the spot and stayed with me better than any breakfast bar or sugary cereal ever does. I will have to freeze a few next time I make them to experiment and see how they turn out. Now this little meal has carbs, but you could cut them down by serving it on only half the ciabatta and more of an open face style. 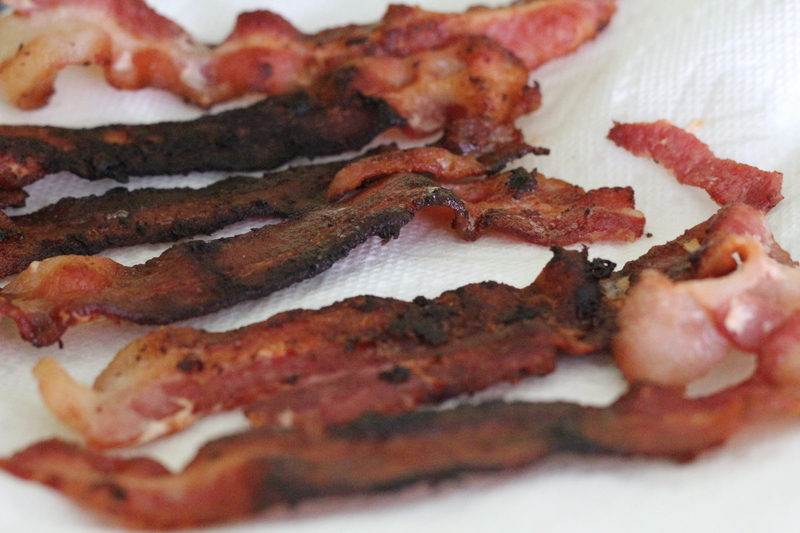 Basically for this dish, I cooked up the bacon in the oven and set it aside to drain. I almost burnt a few of the slices! I grilled the ciabatta rolls lightly just enough to give a little slight crunch to the outside, but kept the inside soft. I removed them from the griddle and set aside. I fried up the eggs on the griddle. I used the silicone egg rings for a few of them but I only have two rings so the rest were just au natural. Seasoned eggs with a little salt and pepper. I turned the oven on broil to finish off the sandwiches. 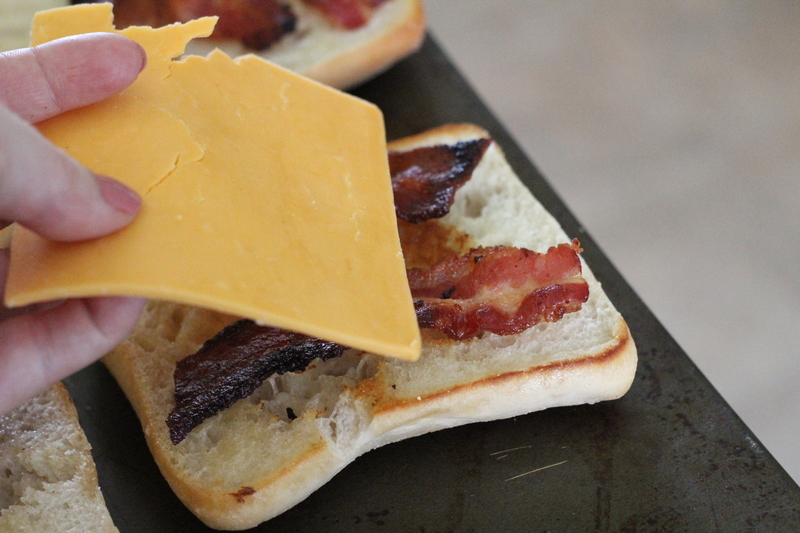 I assembled the sandwiches with the cooked bacon and cheese. 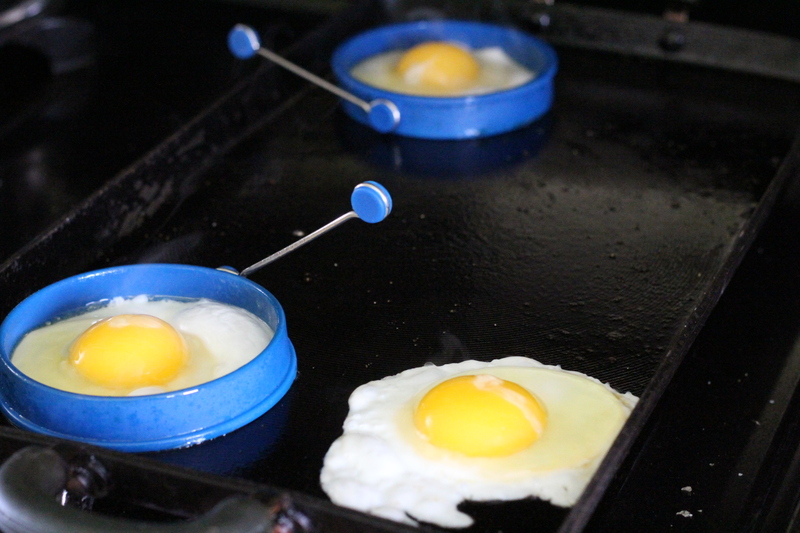 Placed them under the broiler just for a few seconds to melt the cheese and then topped each one with the cooked egg and added the top. I added in some hash browns and a little fruit salad with a mix of fresh and frozen fruit and we had a pretty good Saturday brunch. I think that makes just about any morning better!